Upperclassmen scholars arrived at the Calland Center in their Sunday best this week for the beginning of a brand new chapter in their Crossroads journeys. 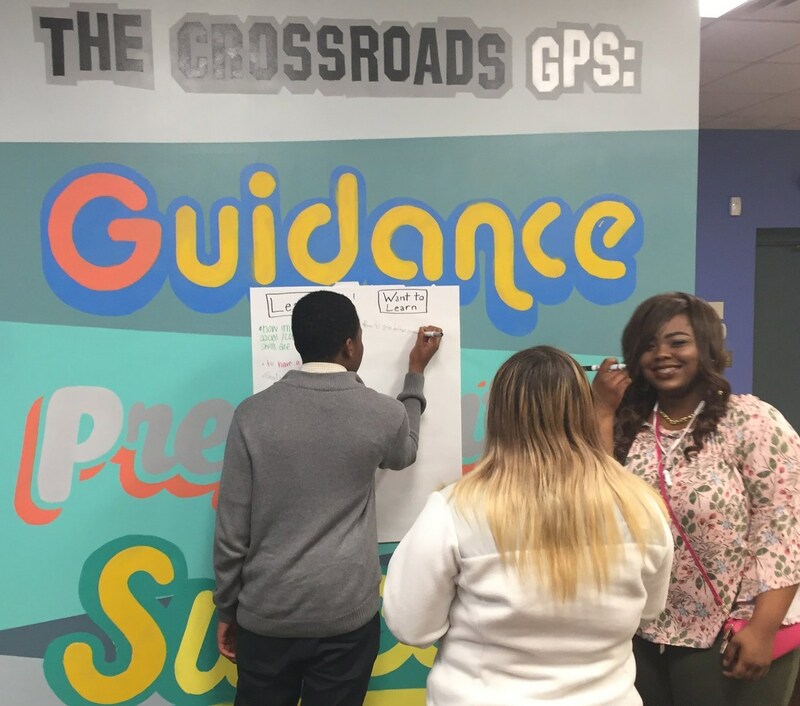 Each was advancing to in-person interviews--the final round of the application process for Crossroads’ Corporate Sponsorship Program, a selective summer internship and mentoring experience that piloted last summer with great success. This year’s scholars will be matched with a number of prominent Pittsburgh companies in various industries, including Cipriani & Werner (law), Babst Calland (law), Lally & Co. (accounting), Newmark Knight Frank (real estate), Pittsburgh Magazine (media), and Hayes Design Group (architecture). Each company hosts an intern for a minimum of 80 hours over the summer, and teaches him or her the ins and outs of the industry as well as professional skills including communication, career awareness, workplace culture, and professionalism. 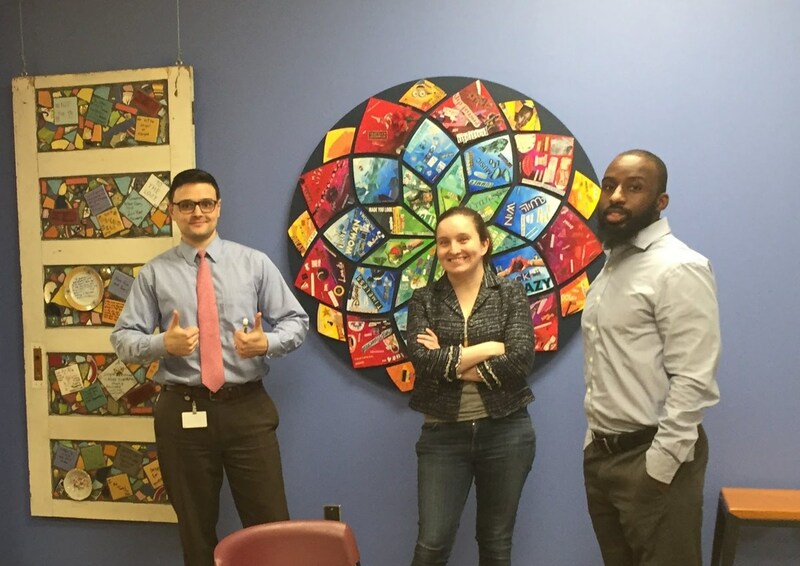 Interviews were conducted by a group of Crossroads alumni and Young Professionals Leadership Council (YPLC) volunteers, who were joined by two senior scholar co-interviewers--Vinicius Santos (Seton-La Salle) and Anwara Tayloradams (Oakland Catholic)--who served as interns last summer. 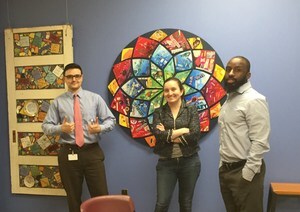 From left: Crossroads alumnus Ryan McCarthy (Central Catholic ‘99), YPLC member Mariah McGrogan, and alumnus Malik Johnson (Central Catholic ‘10). McCarthy and McGrogan are attorneys at Reed Smith and Jackson Lewis, respectively; Johnson is an accountant at Rice Energy. 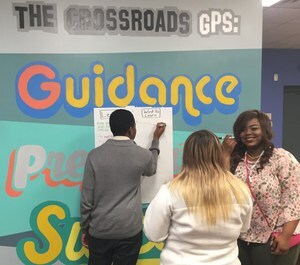 Once internship matches are finalized next week, scholars and sponsors will convene for a meet-and-greet event at Crossroads in March, which will be followed by mentor training for supervisors and a resume and career skills workshop for the interns in May. The actual internships will begin in mid-June and run throughout summer. To learn more about this program, or to inquire about joining as a sponsoring company or individual, please contact Crossroads’ Development Director Elvira Hoff (ehoff@crfdn.org) or Program Coordinator Sean Hoover (shoover@crfdn.org).